As Greece assumes the rotating EU presidency for six months in January 2014, we ask what lies ahead for the country, its political economy and how will its citizens fare? This inquiry is not only focused on the first six months of the year, until the political authorities hand over the presidential responsibilities to their Mediterranean EU peer Italy at the end of June. Instead, we seek to address the issue of what are the risks and opportunities for Greece moving forward in the coming year? It is noteworthy that the start of Greece’s EU presidency will coincide with Latvia joining the euro area as its 18th member. It thereby becomes the second Baltic state to join the eurozone after Estonia took first honours in January 2011. Latvia accounts for 0.2 per cent of total GDP in the euro area and will be the poorest country in the single currency zone (measured in terms of GDP-per-capita). Five years before joining its euro peers, Latvia required an emergency credit line from the IMF and the European Union totalling 7.5 billion euros in order to avoid defaulting. Back in 2009, at the height of the global financial crisis Latvia’s GDP shrank within one year by almost 18 percent. If the recovery argument so frequently heard in Athens these days ever needed a real time credible example, then it can be found in what has happened in Riga during the past five years. The reward for this remarkable turnaround is self-evident: membership in a currency club that is strongly supported by a majority of citizens in Latvia who – with initial reluctance – came to understand what embracing structural reforms implied. Euro area membership for Latvia and the rotating EU presidency for Greece can be seen as two sides of the same coin. Both offer political elites a unique opportunity to showcase the progress of the reform process in their respective countries to a larger and curious European public. The glow of media attention will then be able to shed a bright light on current achievements, existing challenges and future perspectives of the two countries. In many respects this constitutes a rather favourable constellation for the current coalition government of Prime Minister Antonios Samaras. However, the EU presidency also holds potential risks and will require a deft hand in the management of expectations. These risks include the political stability of the two-party coalition government, joblessness nearing 28 percent with the strained social conditions this entails for the country’s citizens and the electoral calendar at the end of Greece’s EU presidency. Let us therefore take a closer look at some of the risks and opportunities that lie ahead in 2014 for Greece. Fiscal space or a looming fiscal gap? Greece will continue to face hard decisions and sobering realities in the coming months. Solving the pathology of fiscal misfeasance, creating investment opportunities that enable a return to sustainable economic growth - and most importantly - providing job opportunities for its hard-hit citizens are the three key challenges which the political authorities, corporate representatives and civil society face throughout 2014. For fiscal policy making the central issue concerns the question how it can be structured to be more supportive of a projected economic recovery? Any answers to this major fiscal challenge will have to be found in a constructive dialogue with Greece’s international creditors. After achieving the largest budget deficit reduction on record in the euro area and by an OECD member state, the immediate issue is how much fiscal breathing space can Greece establish in 2014? The flip side of this question concerns the debate if a medium-term fiscal gap beyond 2014 hinders any flexible accommodation today? The Greek authorities argue that the attainment of a primary budgetary surplus in 2013 provides additional fiscal space in 2014. This would constitute a major policy achievement when compared to the country’s fiscal profligacy of the past decade. But primary surpluses only gain traction if and when they are sustained over time, preferably with growing volumes and declining interest payments on accumulated sovereign debt. Moreover, when emphasising the achievement as unprecedented one has to bear in mind that the point of departure in 2009 was an equally unprecedented budget deficit of 15.7 percent, which only fully revealed itself to a stunned public in Greece and abroad over time. In short, there is a risk of overselling the primary surplus achievement. It is but one element in a larger basket of economic and fiscal preconditions in 2013 and in the years ahead. But even more important is the GDP factor complementing any primary surplus. The milestone of a return to GDP growth in 2014 remains fraught with myriad obstacles. If Greece faces a year of low growth such a scenario would require achieving an ever-larger primary surplus. Given how economically painful it was in 2013 to achieve such a surplus on the back of a recession expected to reach minus 4 percent of GDP the social costs and political risks of this scenario are considerable in 2014. Debt relief or debt restructuring? No matter at what level Greece will achieve a primary budget surplus in 2013, and we will only know official figures in April 2014 at the earliest, its accumulated sovereign debt will continue to weigh down the country’s economy and its recovery prospects. That much all domestic and international stakeholders have understood. But it is not at all clear if they draw the same conclusions from this evaluation. This includes a realistic debate about a controversial, but unavoidable issue. What Greece needs in 2014 is an agreement about the modalities of debt relief. This is the "elephant in the room" that nobody - with the exception of the IMF - wants to address officially just yet. But it looms large in Berlin at the Chancellery, in Frankfurt at the ECB’s headquarters and cannot be ignored by the Commission in Brussels. Can the European institutions and bilateral partners of Greece provide such debt relief in order to comply with the country’s agreed debt sustainability objectives? The answer to this most fundamental of policy challenges facing Greece in 2014 cannot be formulated without Germany supplying pen and paper. So far the resolution of this key crisis parameter is deferred. In light of the growing role and changing composition of official lending to Greece – and the formidable exposure Germany has in this respect (more than 27 per cent of total official lending to Greece) – the question many ask and nobody dares to answer in public is the following: which of the official institutional and bilateral creditors get paid back, how much and when? In the course of 2014 this long-simmering challenge will burst into an open discussion. It has already adversely affected the veneer of Troika unity in Greece as the IMF started recently speaking out in favour of euro area lenders to write down their loans to Greece. But this IMF strategy has not helped made the option of further debt restructuring, i.e. a debt write down, more acceptable to the German public. How the arrangement will look exactly will have to be hammered out in the coming months through competent financial diplomacy. It is not a binary choice between debt relief now or the risk of a Greek default later. A collaborative relationship between all sides is essential. The elements of a framework agreement must include the continued commitment to the structural reform process as a central trade off. Given Greece’s volatile social climate any compromise solution will need broad political support in 2014. What does a growth agenda for Greece imply? The labour market outlook for 2014 remains the most significant challenge. The biggest concern is that any economic improvements will not translate quickly enough into tangible benefits for citizens living and (still) working in Greece. Moving out of an economic recession to a level of stabilisation and subsequent recovery takes time; setbacks included. In terms of private consumption the domestic economy remains compressed. The 2014 budget forecasts a further decline by 1.6 percent. A jobless recovery may well be in the works during most of 2014. But it risks further stretching the social patience of Greek society and the individual perseverance of its citizens. The process of overcoming simultaneously a fiscal crisis and a severe recession is long, arduous and fraught with political battles and high social costs. We argue in the case of Greece that it takes “four Rs” to get the job done. These are: recapitalisation of banks, rehabilitation of public expenditure as well as restructuring the economy and recovery of the labour market. The twin challenge in Greece’s financial sector for 2014 remains the liquidity position of banks and their lending capacity to the real economy. Any assumption of a return to normality are premature. Lending volumes to private households and businesses continue to be anchored on a two-year uninterrupted downward trajectory. The total volume of non performing loans (NPLs) reached ever-higher levels and showed no signs of abating in 2013. More than 70 billion euros were reached at the end of the year, an increase of over 20 billion euros compared to 2012. This NPL ratio corresponded to a level of 32 per cent of banks’ total loan portfolios. Even if the rate of NPL formation started to show signs of slowing down in the second half of 2013, such a staggering level is a weight on banks’ lending capacity towards the real economy in 2014. The first two components of this ‘R-chain’ – recapitalisation of banks and rehabilitation of public finances - are a work in progress in Greece. But the latter two elements – restructuring the economy and recovery of the labour market – while linked with the former two Rs require a very different time frame and set of investment components. As long as domestic demand remains stagnant and investments compressed, tourism and export-led growth will form the basis for the economic recovery of the country. Targeted new policies supporting an international business culture for Greek companies in the framework of a national export strategy are central. Greece needs to enlarge its export base both in terms of the number of exporting businesses and the type of products it exports. 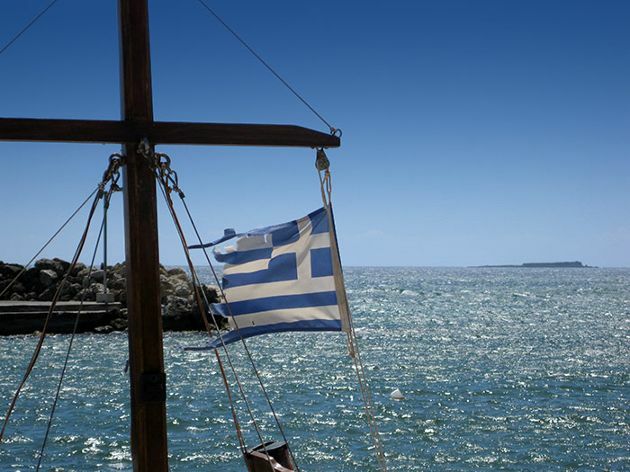 An export promotion strategy of Greek goods and services is a key cornerstone. The climate for doing business in Greece is changing. Layers of red tap are starting to be removed. Legal restrictions are being curtailed. The OECD acknowledged as much in its recent competition assessment of Greece. But it also emphasized that overcoming barriers (e.g. in sectors such as retail, tourism, food processing and building materials) remains a work in progress. The ever-changing tax administration and the rising tax burden for companies are major disincentives to launching a business or maintaining the capacity to operating it. Any new growth agenda for Greece will have to include new funding avenues and access to specialised financing facilities. The NSRF programme for 2014-2020 offers new opportunities towards that end. Combined with financial assistance and technical expertise from European institutions such as the EIB, the EBRD and the Council of Europe Development Bank (CEB) initiatives need to be implemented to support SMEs, particularly with working capital. The formulation of a SME policy framework for Greece under inclusion of all stakeholders concerned. The consultation process is essential here, in particular when designing a needs assessment and recommending priority actions that have input from SME organisations. Such a policy framework would have to be integrated into the wider public debate about Greece’s economic stabilisation and recovery agenda. Encouraging new business ventures in Greece requires inviting, promoting and welcoming foreign direct investment (FDI). Being on the radar screen of foreign investors is not enough in that respect. It is rather about the means and ways of being placed on their priority list of investment destinations. Nor is it in Greece’s self-interest to become a prime location for bottom fishing foreign investors and speculative hedge fund managers. These different work streams can form the cornerstones of a sustainable growth agenda in Greece in 2014 and beyond. But they cannot provide instant success. Rather, they will only bear fruit over time and by overcoming sustained opposition from special interest groups bent on preserving their status quo and rent seeking. Any economic recovery programme will have to make a fundamental switch from focusing on fiscal austerity measures to sustainable growth and job creation. Until then the Greek economy in 2014 may continue to be characterised by low growth levels, persistent high unemployment, deflation risks and sovereign debt levels that limit borrowing, investment and job creation. This statement does not provide easy notions of optimism for Greece moving forward in 2014. Too much is at stake and in flux. The old reflexes in favour of the status quo and the new initiatives supporting fundamental change will uncomfortably co-exist next to each other in 2014 and for some time to come. Mr. Tsigantes, why do you not give a hint regarding what alternatives you do see??? How depressing that you showcase this apologist for the (shorthand) "neo-liberal" economic destruction and purposeful impoverishment of nations. All because 'they can'. And through our entrapment within the eurozone. A eurozone whose policies are dictated by its largest member for its own profit and the destruction of the rest. A eurozone run by an unelected Commission who are too cowardly to stand up to the largest member and willingly jettison the EU's social contract. A eurozone that started as one thing and has morphed into quite another. I hope this is followed by an article on alternatives. Because there ARE alternatives. As much as a different opinion is welcome, Mr. Tsigantes your argument would gain in strength if you could formulate yourself what you are calling for, namely the alternatives. The court of public oinion is open. Take a shot at letting others know how these alternatives - within reason - could look like.